It could perhaps happen over the coming attack on Idlib that the US and Russia will have another direct military engagement. Both have deployed fleets in the Mediterranean and Russia is performing military exercises while it appears the US is just sitting, waiting to see what happens after President Trump issued another warning about the use of chemical weapons in Idlib. With both superpowers on heightened alert, what could go wrong? Well, a lot or nothing. There are a few bent spokes in everyone’s bicycles, as we shall see. First, let’s take a look at Russia’s positioning in the Mediterranean. THIS YEAR IN JERUSALEM! 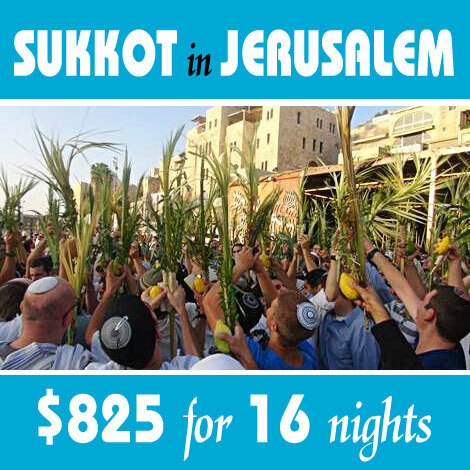 SUKKOT 2018 – ONLY $50 A NIGHT! But the Pentagon on Tuesday denied any such buildup, calling Russia’s claims “nothing more than propaganda” and warning that the US military was not “unprepared to respond should the president direct such an action,” CNN’s Ryan Browne reported. Business Insider reviewed monitors of Mediterranean maritime traffic and found only one US Navy destroyer reported in the area. The same naval monitors suggest Russia may have up to 13 ships in the region, with submarines on the way. It appears the Russians are loading for bear, preparing for a major move in the Middle East. International investigators have found that Syria’s government, backed by Moscow, has carried out dozens of deadly chemical attacks on its civilians. The US has warned the Syrians and Russians not to perpetrate a chemical attack in Idlib, but Russia is accusing US-linked forces of secretly conducting these same attacks. Russia has positioned a considerable naval armada in the Mediterranean near Syria after accusing the US of plotting a false-flag chemical-weapons attack in rebel-held areas — and it looks as if it’s preparing for war with the US. Russia’s massive navy buildup in Syria can’t actually stop the US from striking Syria in response to the Syrian government’s chemical attacks, as it has twice in the past two years. If Russia were to counterattack US Navy ships firing on Syria, the US would most likely crush it in short order. Instead, Russia will probably just keep up its propaganda effort, which includes ship deployments. Business Insider’s conclusion that the US could crush Russia for firing on the US navy falls short of addressing Russia’s firepower. Russia will keep up its propaganda until the time it desires to engage the US on US soil. This is a scenario that almost no mainstream news outlet hints at, let alone addresses. This keeps the US public lulled into a sense of security that doesn’t exist. Even with its massive naval presence, Moscow doesn’t stand a chance of stopping any US attack in Syria, Omar Lamrani, a military analyst at the geopolitical-consulting firm Stratfor, told Business Insider. “Physically, the Russians really can’t do anything to stop that strike,” Lamrani said. “If the US comes in and launches cruise missiles” — as it has in past strikes — “the Russians have to be ideally positioned to defend against them, still won’t shoot down all of them, and will risk being seen as engaging the US,” which might cause US ships to attack them. Lamrani said that in all previous US strikes in Syria, the US has taken pains to avoid killing Russian forces and escalating a conflict with Syria to a conflict between the world’s two greatest nuclear powers — “not because the US cannot wipe out the flotilla of vessels if they want to,” he said, but because the US wouldn’t risk sparking World War III with Russia over the Syrian government’s gassing of its civilians. “To be frank,” Lamrani said, “the US has absolute dominance” in the Mediterranean, and Russia’s ships wouldn’t matter. Business Insider and these military analysts will one day get a great big surprise from Russia, but until then, people like me who keep warning Americans will remain in the minority being laughed at as conspirators. But here is one article from Sputnik that the pro-US military analysts say is propaganda and has to do with the way Russia sees the US deployment in the Mediterranean. The US Navy’s Los Angeles-class submarine USS Newport News armed with Tomahawk cruise missiles has entered the port of Gibraltar at the entrance to the Mediterranean Sea. The nuclear-powered fast attack submarine was spotted near the port on Thursday, with a Spanish customs boat being intercepted by a Gibraltar Defense Police vessel once it approached the US vessel. Over the past two weeks, there has been a great deal of speculation about the possibility of a chemical weapons attack in Syria, with Russian military officials warning of an upcoming provocation that would trigger a new round of Western strikes against Bashar Assad’s government. On Friday, CNN reported that facilities allegedly connected with the production of chemical weapons may be among the principal targets that would be hit if the US administration deemed Damascus had indeed used chemical agents against civilians. To that end, the destroyer USS The Sullivans armed with 56 cruise missiles arrived in the Persian Gulf a couple of days ago, while a US В-1В bomber carrying 24 air-to-surface AGM-158 JASSM cruise missiles had been deployed to Al Udeid air base in Qatar, Russian Defense Ministry spokesman Maj. Gen. Igor Konashenkov said. Last Sunday, Konashenkov warned that militants from the Tahrir al-Sham group were preparing to stage a provocation in Idlib province in order to accuse Syrian government forces of using chemical weapons against civilians. On Tuesday, the Russian Center for Syrian Reconciliation stated that the so-called White Helmets had delivered a large shipment of toxic substances to a warehouse used by Ahrar al-Sham militants in Idlib in order to stage a false-flag attack and blame it on the government’s troops. During a joint presser with his Russian counterpart earlier this week, Syrian Foreign Minister Walid Muallem said that the White Helmets group had kidnapped 44 children to stage the false-flag attack. In April 2018, a vast number of Western media outlets and the While Helmets reported that Syrian government forces had used chemical weapons against civilians in the city of Douma. Irrespective of the lack of evidence, the US, France and the UK carried out a series of coordinated airstrikes against several targets in Syria that allegedly stored chemical weapons. Russia says that it has knowledge of an impending chemical attack in Idlib but that it will take the form of a US false-flag attack used to justify military intervention in Syria. But Russia has made that claim before, and credible reports and inspections consistently link chemical weapons use to Russian or Syrian warplanes rather than anybody else. After telegraphing this flashpoint, the Russian navy deployed in impressive numbers to the Mediterranean, where the US has twice fired on Syria. This could mean that Russia and Syria will again use chemical weapons against Syrian civilians and Russia is preparing to stop the US from intervening. The Sputnik article certainly is less biased in its assessment than the Business Insider. Now, let’s look at an area where tensions between the US and Iran are flaring. Tensions between the U.S. and Iran are flaring once again in 21-mile-wide Strait of Hormuz through which passes about one-third of all international oil shipments, most of it from Saudi Arabia. A top Iranian admiral said Iran has taken over control of the Strait as of last week. The Revolutionary Guards navy said there is no need for the presence of aliens like the U.S. and the countries whose home is not in here. Secretary of State Mike Pompeo shot back at Iran saying it does not have control of the Straits and promised to keep the oil shipping through there. It appears Iran has backed down from the United States because Tehran announced this week that it will move its main oil export terminal from the Gulf to the Oman Sea to spare its tankers from using the strategic Strait of Hormuz. To reach the oil terminal on Kharg Island, tankers must currently pass through the narrow Strait of Hormuz, slowing down deliveries. The latest threat was in July when Rouhani said Iran has always guaranteed the security of the strait but warned the US “should not play with the lion’s tail.” Moving its terminal to the Oman Sea would in theory allow Iran to continue exporting oil even if the strait was closed. Therefore, do not view this as Iran backing down. Iran is making sure its own oil deliveries will not be disrupted when it comes to blows with the US and Saudi Arabia and removes these nations from the Straits of Hormuz. Only the West and Saudi Arabia will suffer when that happens. Israel has threatened to strike Iranian targets in Iraq. The two nations are technically at war, but despite their formal state of enmity, Israel and Iraq have not openly engaged in hostilities in decades. This may be about to change because the Iranians have transferred missiles to Iraq. U.S. Secretary of State Mike Pompeo said he was “deeply concerned” by the Iranian missile transfer and that it is a gross violation of Iraqi sovereignty and of UNSCR 2231. It may be a violation of UNSCR 2231, but methinks Iraq is throwing whatever alliance they still have with the US out the window in favor of Iran. There were explosions in a Damascus weapons storehouse this week but no Syrian anti-aircraft fire was documented, either at planes or at missiles. It appears the explosion was not caused by an Israeli attack, as some tried to say. Syrian state media said the explosion was at an ammunitions dump and caused by an electrical problem. On Monday, this was followed by a bombing attack on a convey of Iranian forces and Shi’ite militias near the American Al-Tanf in southern Syria. Rami Abdel Rahman, the chairman of the Syrian organization, whose headquarters are in London, said that it was not known who was responsible for the attack. The AFT news agency turned to the U.S.-led anti-ISIS coalition asking whether it had bombed the convoy, but there was no response. The east-west land corridor that Iran has been trying to strengthen over the past two years is now drawing more international attention and possibly air strikes that no one really wants to talk about. Reuters is the news outlet that reported last weekend that Iran was using the corridor to transfer medium-range missiles to Iraq, which Iran denied. Senior Israeli officials, including Prime Minister Benjamin Netanyahu and Defense Minister Avigdor Lieberman, have over the past few days gone back to expressing themselves publicly about the Iranian presence in Syria. Against the backdrop of visits by American envoys to Israel and of senior Iranians in Syria, it was once again reported that Israel is not entirely happy with the arrangement with Russia to keep Iranian forces in Syria away from Israel’s border. Moscow has kept its pledge to move the Iranians a distance of 85 kilometers (and according to another version, 100 kilometers) from the border with Israel in the Golan, but this pledge does not include Damascus. Israel wants to push Iran further back which will violate its arrangement with Russia. Hint: Daniel 11:40-45 says the King of the South will “push at” the King of the North. Israel is “pushing back”, see? If Israel continues to try to “push” Iran out of Syria, this could literally turn out to be Daniel’s prophetic words! Relative quiet has prevailed since Assad has completed his takeover of southern Syria, but now it seems that Israel is signaling it will return to operations as usual. As long as it identifies a danger, which to Israel also means deviating from understandings with the Russians, Israel reserves the right to respond. That is what Lieberman said this week in an interview in the framework of the Israel News Companies’ “influencers” conference. From the Iran side, Gen. Qassem Soleimani has not stopped – or even slowed down – his drive for widening and deepening Iran’s military infrastructure in Syria, according to Debka. Iran is as strong or stronger in Syria now than ever before. Soleimani has clearly not been deterred by Israel’s 200 attacks and 800 tons of ordnance used. He has simply found different ways of attaining the Iranian objective of staying in Syria. In the past five months, he has been embedding Iranian bases and command centers inside the Syrian military network. Others have been planted close to the perimeter fences of Russian bases, or moved across the border into western Iraq, allowing Iranian and allied forces to escape to safety after an operation. However, there seems to be a broken spoke in Qassem’s bicycle. The relationship between Hizballah’s leader, Hassan Nasrallah, and close ally, Gen. Soleimani, is on the rocks. Without a word to the Iranian general, Nasrallah pulled roughly 5,000 Hizballah troops back home to Lebanon from the Syrian warfront, depriving Soleimani of more than half of the competent fighting strength at his disposal in Syria because the Pakistani and Iraqi militia fighters never measured up to Hizballah’s combat standards. Furthermore, Nasrallah has ignored Soleimani’s orders to send back to Syria at least half of the Hizballah force he sent home. This comes after Nasrallah complained about Soleimani’s war tactics in Syria in closed-door meetings with the Iranian command last month. Nasrallah faulted the general’s decision to scatter a large number of IRGC and Shi’ite militia bases across Syria saying that massive US-Israeli air power would soon pulverize them. He also complained about the Shi’ite militia fighters being unreliable in combat. Since the Nasrallah-Soleimani rupture, those militia chiefs have vented their own beefs, primarily about their treatment at the hands of the Iranian general who issues dictates and expects unquestioning obedience as his only form of communication. Some are now going behind the Iranian commander’s back and addressing their messages to Nasrallah in Beirut for passing on to Tehran. The fractured ties between Iran’s top surrogate chief and its senior Middle East strategist surfaced in the past fortnight when Iran’s defense minister Amir Hatami and foreign minister Muhammed Javad Zarif, who paid important visits to Damascus, skipped side trips to Beirut and contacts with Hizballah leaders. Military sources also disclose that the withdrawal of Hizballah troops from most of eastern Syria to Lebanon was the catalyst for violent battles over territory between Soleimani’s Shi’ite militias and Syrian contingents, mainly in the Deir ez-Zour and Abu Kamal regions. In the fighting which broke out on Aug. 8 – and is still ongoing – both sides are using artillery, mortars, heavy machine guns and automatic sidearms. Both have inevitably suffered substantial dead and wounded casualties. In an attempt to curb the unfolding catastrophe, the Russian high command in Syria acted in the second half of August by posting Russian military police on the Euphrates River bridges to try and separate the warring forces in the two embattled areas. Those same military police were originally assigned to man 8 positions on the Syrian-Israeli border opposite the Golan. I suspect this situation also plays a role in Russia’s sudden naval build up in the Mediterranean. Russia may be preparing to fill in where Hizbollah leaves a gap in the numbers of Shi’ite militia forces. The Syrians began their offensive against Idlib on Tuesday despite US objections. Russian planes have also reportedly bombed rebel-held targets in Idlib as Syria’s government troops massed before the expected offensive. Air raids have pounded areas of the last rebel-held province, killing several civilians and raising further concerns that an all-out government offensive is only a matter of time. At least 24 raids – the first in three weeks – hit the area on Tuesday morning, according to activists who said “they saw Russian and Syrian regime warplanes in the sky” as the UN warned against a bloodbath. Turkey has for weeks been engaged in diplomatic efforts to prevent a Syrian government attack on Idlib. Turkey, Russia and Iran, which is also a major Assad ally, are expected to hold a summit on Syria in Tehran on Friday, but Syrian airstrikes began before the talks. De Mistura, who has mediated several rounds of Syria talks in recent years, without making any progress, said he was “determined” to hold discussions with high-level envoys from Turkey, Iran and Russia on Tuesday and Wednesday of next week, despite concerns the offensive may begin before then. Meanwhile, US President Donald Trump late on Monday warned Syria against “recklessly” attacking Idlib which he said could trigger a “human tragedy”. The White House said Tuesday it is “closely monitoring” the fate of Idlib, where it said “millions of innocent civilians are under threat of an imminent … attack” by the regime of President Bashar al-Assad. The United States promises to “respond swiftly and appropriately” if Syria uses chemical weapons in Idlib province, the last rebel stronghold in Syria. Also on Tuesday, Israeli planes targeted military positions in the provinces of Tartous and Hama. Syrian air defenses confronted and downed some of the rockets. An Israeli military spokeswoman declined to comment. The US [wanted] to quash Syria’s coming Idlib offensive. James Jeffrey, Special Representative for Syria engagement, and Joel Rayburn, Special Envoy for Syria, have been tasked with giving the new Trump Syria policy practical substance. Their first objective is to avert the Russian-Iranian-Syrian offensive against Idlib. This goal goes to the core of the three allies’ most vital plans. It is seen as a last-ditch attempt to impose US will and interests on the Syrian war-scape – not only by evicting Iran from the country, but by also unraveling Russia’s strategy. Both Tehran and Moscow view the Idlib offensive as a triumphant finale to their successful Syrian venture. Washington therefore rates its prevention worth the candle, even at the cost of a possible US or Israeli war operation. The State Department’s focus is now on “maintaining Israel’s security while countering Iran’s destabilizing activity through the region”. The US and Russia’s latest attempt at Middle East peace in Helsinki on July 16th has broken down, but this time it is US President Donald Trump and Israel who are to blame. Instead of pulling American troops out of Syria [as promised], the White House switched in mid-August to the quest for a pro-active US role in determining the ultimate stages of the Syrian civil war. Moscow reacted by massing a Russian war fleet and special forces in the eastern Mediterranean and Syria, to guard against any further American surprises. The Russians have been engaged in war exercises over the Mediterranean that are affecting civilian air traffic in and out of Israel in preparation for Syria’s attack on Idlib. The Israeli Airports Authority informed airlines that due to the Russian military exercise carried out in the eastern part of the Mediterranean basin, there may be changes in the flight routes in the Cyprus area that could affect international flight routes to and from Ben-Gurion International Airport, causing delays in landings and takeoffs. The disruptions come as Ben Gurion Airport, the country’s main airfield for international flights, braces for one of its busiest periods of the year: Three major Jewish holidays — Rosh Hashana, Yom Kippur, and Succot — all fall within the next three weeks. A rumor, some call it a conspiracy, is floating around that the White House plans to offer the Palestinian Authority and Jordanian government a ‘confederation’. Both the PA and Jordanians have come out strongly against the idea, saying it threatens both the Palestinians and the Hashemite kingdom unless such a confederation includes Israel as well. Trump’s deal rollout is in question as it meets with much resistance. Two months ago, the long-awaited release of the Trump administration’s ambitious plan for peace between Israelis and Palestinians, what the president has called the “ultimate deal,” seemed imminent. President Trump’s two top envoys to the peace process — Jared Kushner, his son-in-law and advisor, and Jason Greenblatt, a former senior Trump Organization lawyer — had prepared and begun to circulate a 40-page draft. But the proposal hit a wall. Persian Gulf Arab states, along with Jordan and Egypt, which have courted and been courted by Trump, flatly rejected terms they saw as radical, pro-Israel and out of line with traditional U.S. policy and international law, according to officials familiar with the peace-seeking process. As a result of that opposition, the administration backed away from publicly revealing its plan and has switched to a different approach: increasing pressure on the Palestinians in hopes of pushing them to the negotiating table. There was excitement in Israel this week over an important announcement. Last Tuesday, the Temple Institute’s Red Heifer program announced that an entirely red female calf was born paving the way for re-establishing the Temple service and marking the final stage of redemption. The newborn red heifer was certified by a board of rabbis as fulfilling all the Biblical requirements. The rabbis emphasized that the heifer could, at any time, acquire a blemish rendering it unsuitable. They will be inspecting the calf periodically to verify its condition. Several heifers have been found in recent years that seemed to qualify but ultimately were deemed unsuitable. Earlier this month, two calves born in Israel to the Institute’s red heifer program were deemed to be unsuitable for the performance of the mitzvah. One calf was a bull while the second, a heifer, had a small patch of white hair which disqualified her. A viable red heifer almost certainly heralds the building of YHVH’s altar, but will that altar be built along with a Temple? If so, which Temple? Solomon’s of YHVH’s? KINGDOM WORDS – WHAT DID YHVH MEAN HE SAID… TEMPLE? A large public building, such as a palace or temple: – palace, temple. …Also, we call it YHVH’s dwelling place. Just as the Tabernacle was YHVH’s temporary dwelling place, the Temple is His permanent dwelling place. The first mention of this word, Heykal, is in 1 Samuel 1:9. It refers to the place of YHVH’s commanded national worship services and rituals administered by the Aaronic Priesthood for the Children of Israel. There had been a Tabernacle – Mishkan, a temporary dwelling, but the Heykal was a more permanent place set up at Shiloh. It would be destroyed. Later, YHVH would command His permanent dwelling to be built in Jerusalem. But that’s the not the reason for this question. Since having written so much about Judaism’s and Christianity’s misuse of Biblical terminology, nothing is clearer to me than our need to use YHVH’s definitions, not ours that have developed over the last 3500 years. The Kingdom is eternal, never changing. So is its Hebrew language and the definitions of the Hebrew words. The world’s, and Israel’s culture have changed drastically over time to the point that today’s use of Kingdom terminology is very different from when YHVH first introduced the words and concepts. The problematic definition of the Temple has to do with whose Temple it is. YHVH’s Temple is universally known in modern times as Solomon’s Temple and it has caused the New World Order leaders, Freemasons and Jews of the world to look for King Solomon’s Temple. This could fool a lot of Christians and even the elect, if possible. Let me explain why this is wrong in purely modern human terms. Let’s say Joe built me a house. Whose house is it? Is it Joe’s house or mine? Of course, I’m going to call it mine! I paid for it. Would it be OK with me if Joe told everyone it was his house? Of course not! And how would I feel if he kept repeating that it is his house until everyone thought of me as nothing more than a guest or even a squatter? For the last 3,000 years, YHVH’s Temple – His dwelling place – has been thought of a belonging to Solomon because that’s the redefinition of whose Temple it is caused by constant verbal misdirection using the wrong definition. Words used long enough and often enough become ‘truth’ in people’s minds. We speak without even considering the lie behind what we say. It is no wonder people are confused about the coming anti-Messiah. The Jews are looking for someone from the line of Solomon to go into the Temple of God and declare himself to be the messiah. The recently revived Sanhedrin of Israel wrote to President Donald Trump. The letter said, “We, the judges of the Sanhedrin, the high court according to the Torah of Israel, are pleased that you are visiting Jerusalem, the eternal capital of the Nation of Israel in which the creator of the world chose as the site of the Holy Temple. We hope that you will decide to go up to the Temple Mount, Mount Moriah, to the proper areas, and by doing so, you will merit the blessings of King Solomon, who founded the Temple with the intention that foreign leaders will come from afar to bring peace to their lands”. The Jews want to give earthly rulers the blessing of King Solomon. Why are they not wanting to bless the earthly rulers with a blessing from YHVH for having shown up in Jerusalem? 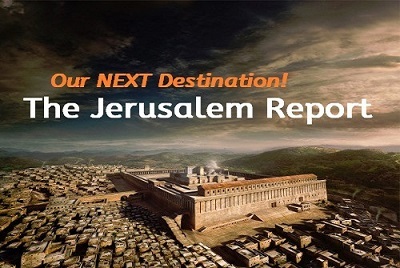 And by the way, when does scripture say the earthly rulers will show up in Jerusalem? 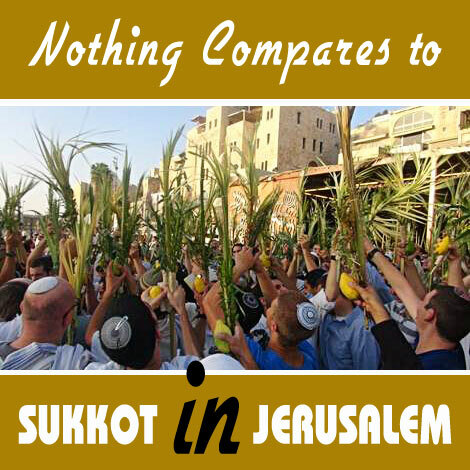 At Sukkot! (Zechariah 14:16-17). The Rabbis teach what our errant Hebrew Roots leaders teach which is that you don’t have to go to Jerusalem now. You can do the Feasts in your own home, in New York City, Oregon, Oklahoma, anywhere in Australia, Italy, South Africa, etc. This Sanhedrin is not qualified to bless anyone, let alone to bless someone in Solomon’s evil name! Judaism’s misuse of YHVH’s words has everyone believing the Temple belongs to Solomon! Almost no one attributes the Temple to the One to whom it really belongs – YHVH Elohim! The common verbiage for the Temple is that it is ‘Solomon’s Temple’. The Temple has always belonged to YHVH Elohim and no one else! It wasn’t even David’s Temple. Certainly, it was not Solomon’s! YHVH never told either of them that He would give the Temple to them. His promise to was establish David’s throne forever through one of David’s righteous sons. Solomon in no way qualifies as a righteous son of David. Furthermore, no one but YHVH Himself is allowed to sit on His throne in the Holy of Holies. YHVH’s throne is not the same as David’s. Believers don’t understand what David’s throne signifies. Here’s what it signifies: The Kingdom of Israel became a vassal State to YHVH’s heavenly Kingdom. He never allowed Israel to be a sovereign State in the strictest sense. YHVH was always their King, but because of the Israelites’ rejection of Him, He gave them an earthly King that their eyes could see and their ears could hear. He did this because they backed away from Him constantly starting with Mount Sinai. But when the Messiah – YHVH Elohim in the flesh – comes to rule, Judah will no longer have the scepter (Genesis 49:10) and all Israel will no longer have an earthly King, but one who is both Elohim (God) and Adam (man). No one but Yeshua can fulfill this role. We must stop using the phrase ‘Solomon’s Temple’ and start saying ‘YHVH’s Temple’. Only then, once we begin saying the correct terminology, will our minds catch onto the fact that the Temple does not belong to Solomon, but to our YHVH Elohim! When you see Solomon’s Temple being erected, don’t walk – RUN away from it because the anti-Messiah from the line of Solomon will seat himself in Solomon’s Temple declaring himself to be messiah and showing himself to be God (2 Thessalonians 2:4). He will lead many into the lake of fire because they will “marry” him, follow him, instead of the true Messiah, Yeshua. There is a bomb associated with Solomon’s Moabite tendency. Remember MOAB, the “Mother of all bombs”? The MOAB bomb is not mis-named nor is its association with Solomon misplaced. While we’re on the subject of using YHVH’s words correctly according to their divine meaning in His Kingdom, let’s review the audio of my recent video asking “Is Yeshua REALLY the Messiah of All Israel?”. Nigerian Christians are being persecuted again. This week, dozens were burned alive by Muslims. The militants surrounded a Pastor’s home and set it and 95 other Christian homes on fire. An eyewitness said that the gunmen waited to ensure that no survivors would escape the burning homes. The attack lasted more than four hours before security personnel finally arrived on the scene. This was one of eight villages to be attacked in central Nigeria this week. The Open Doors organization reported that between 2006 and 2014, 9,000 – 11,500 Christians were killed and over 13,000 churches destroyed in northern Nigeria. Christians have nearly been wiped out by Muslims in the Middle East because there has been no international intervention on their behalf. We must take our brethren to YHVH in prayer for He is their only salvation!